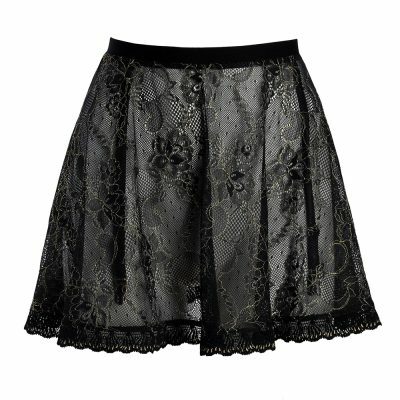 Made from the most exquisite french lace this midi-length skirt is a poem written in a summer night. They feature a delicate 18th century floral embroidery on a super sheer black mesh with a fitted waist, hidden zipper and satin waist band. Putting it on is like putting on a dream, a story, another layer of sensuality.